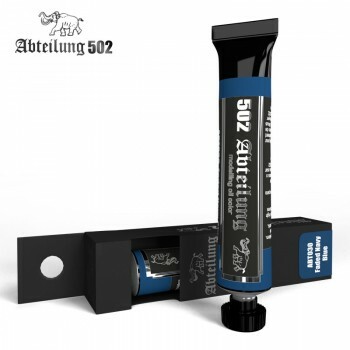 Abteilung 502 Faded Navy Blue Oil Paint 20mlThis is the perfect colour to combine and achieve different colour variations on Panzer gray in order to improve your winter scenes. It can also be used to add depth or creating increases and decreases of light on figures with blue uniforms. On small scale ships it can be blended with other blue tones and applied on the gray ship hulls to achieve more volumes and differentiate areas as the bridge and other structures.